In this lab, you will change the detect hysteresis of a button and analyze its impact. 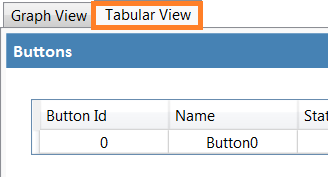 To explore this feature, you will tune the detect hysteresis value of the touch button and monitor the behavior. If you've just completed the Detect Threshold Project you should click on Stop Reading. 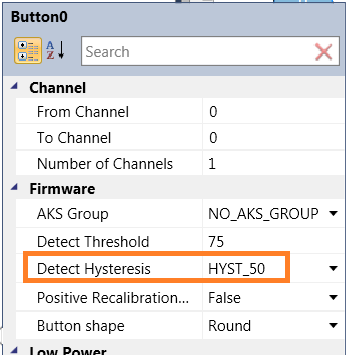 In the 'Button0' settings, set the detect hysteresis to HYST_50. Note that the Detect Threshold is 75. We changed it from the original value during the Detect Threshold Project. 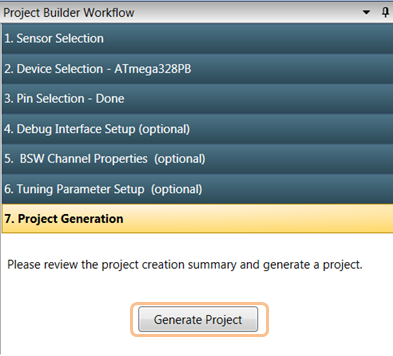 Program the application by clicking on the 'Start Without Debugging' icon. 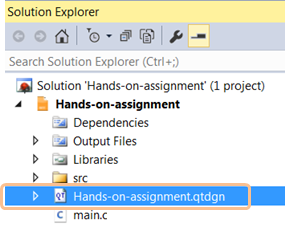 Open the QTouch Analyzer window by clicking on the icon as shown below. Move a finger towards the sensor. When delta crosses the detect threshold (75), the sensor will go into the detect state. Move the finger away from the sensor. The sensor will stay in the detect state even after the delta has fallen below the detect threshold. The sensor goes out of detect only after the delta value has fallen below the detect threshold by a value of more than 50% of the detect threshold (~38). In this project, you observed that the touch button turns ON when the touch delta crosses the detect threshold, but it does not turn off until the touch delta falls below the detect threshold by the percentage value set in the Detect Hysteresis parameter.